The ‘Magners Pasture’, or ‘the-bit-near-the-London-Eye-with-the-big-purple-cow-thing’ as most locals know it, is back on the South Bank for the summer. 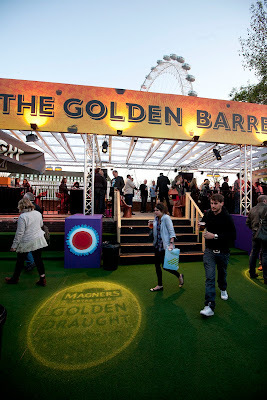 This year, the opening coincided with the launch of Magners Golden Draft, a new brew that uses smaller apples to apparently make a crisper, more refreshing pint of cider. Well, the difference to regular Magners was pretty much imperceptible to me, but it provided a good excuse to litter the place with lots of small apple/big hands gimmicks, including an annoyingly addictive Facebook game, a foosball table that was rendered unplayable by the replacement of the handles with weird grasping hands, and barstools rendered to look like giant hands, which made it look like you were being fondled by a subterranean giant every time you sat down. 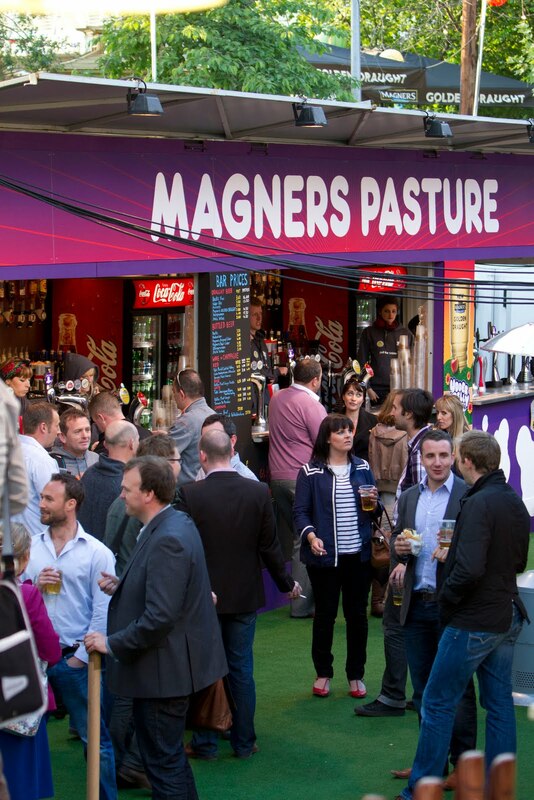 When the PR gimmicks are removed, however, what will the Magners Pasture offer the average South Bank stroller for the rest of the summer? 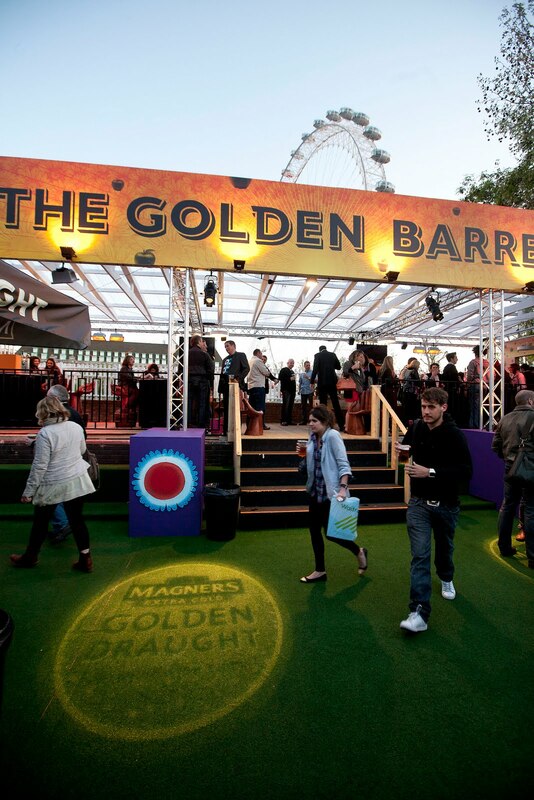 Well, the highlight is a VIP area where punters can pull their own pints of Magners from taps in the middle of each table. No more queues at the bar; enough to make any P feel VI. Elsewhere, on certain dates over the next three months, the adjacent Udderbelly (a large purple tent that students and unemployed people will recognise from those annoying adverts that punctuate repeats of Friends on E4) will host a series of comedy evenings featuring a mixture of people that are genuinely funny and the more tedious sorts who periodically make up the numbers on Mock the Week. Otherwise – and not that there’s anything wrong with it – the ‘Magners Pasture’ is just a glorified pop-up pub beer garden next to the Thames. In this capacity, it is slightly annoying that the venue’s unnecessarily high perimeter fencing provides a little too much shade from the evening sun, and cuts the area off from the sort of riverside views that make The Anchor and The BFI such popular venues this time of year. 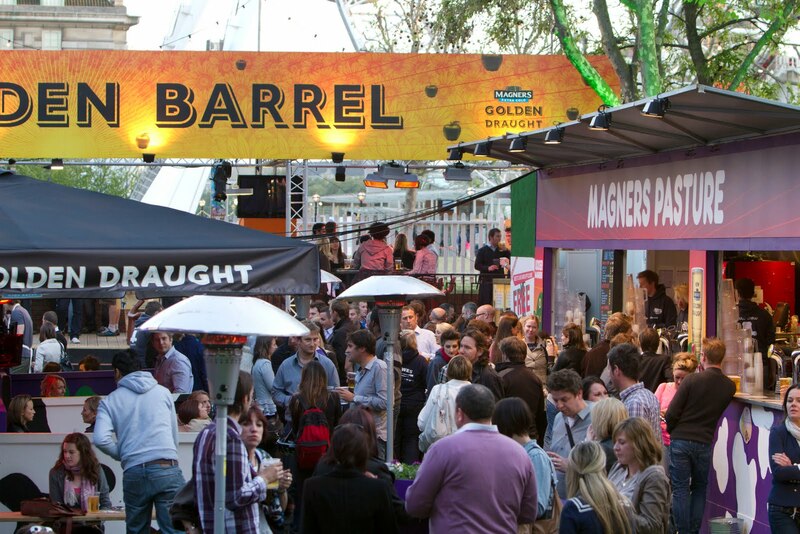 However, that aside, it still represents a cool, chilled out area in which to while away summer evenings on the South Bank, with satisfying festival-style food and (the arena’s sponsor presumably hopes) crisp pints of small-appled cider. For further Thames-side bars, pubs, and restaurants, follow this link to the Best Riverside Bars and Restaurants Top 10 Guide. Oh GloGlo, For Goodness Sake! Can You Go A Whole Week Without It?